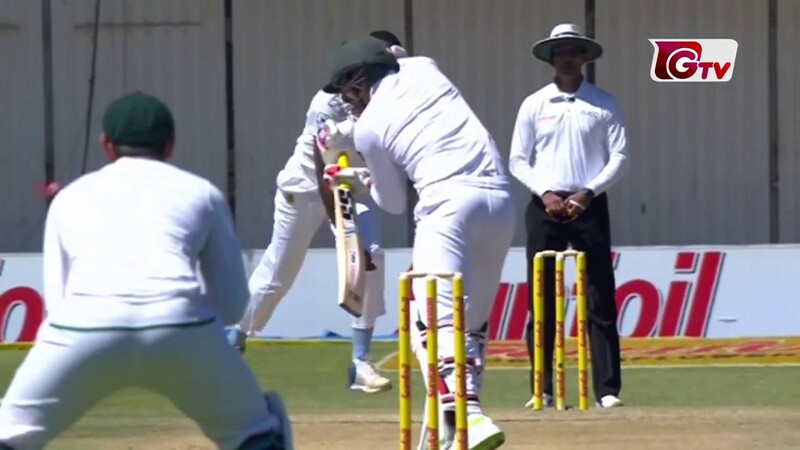 Bangladesh lost three wickets after South Africa declared their first innings on a mammoth total of 496 in the second day of first Test at Potchefstroom. 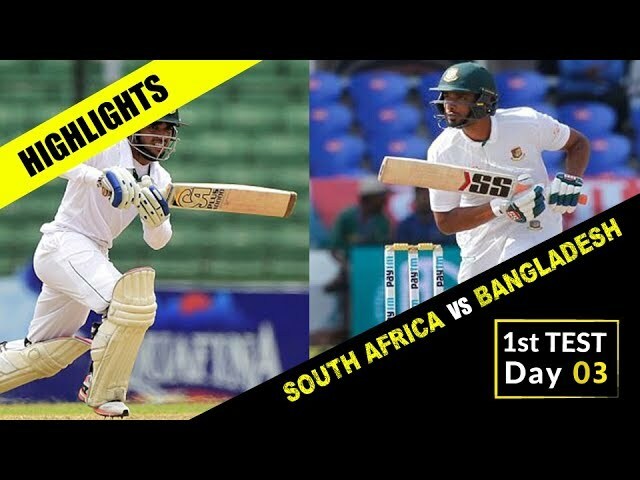 At the end of the day, Bangladesh trail by 369 runs with 7 wickets in hand. South Africa started the day on 298 for 1. After a wicket-less first session, Shafiul gave the first breakthrough for Bangladesh just after the lunch. Hashim Amla was dismissed after scoring 137. Mustafizur Rahman picked up the wicket of Dean Elgar on 199. After tea break, South Africa declared their innings on 496 for 3. In reply Tigers had to start their innings without opener Tamim Iqbal. Imrul Kayes and Liton Kumar opened for Bangladesh. Kagiso Rabada dismissed Imrul on 7. Liton was the first victim of Morne Morkel after scoring 25. Mominul Haque and Mushfiqur Rahim’s 67 runs partnership in the 3rd wicket stabilized the Bangladesh innings. 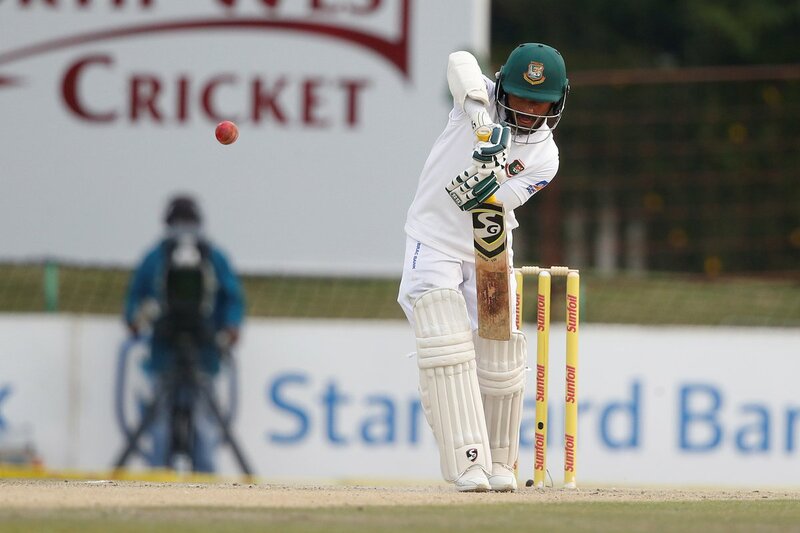 Mushfiqur was caught out at short leg after scoring 44, Keshav Maharaj was the bowler. 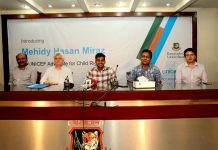 Mominul and Tamim Iqbal passed the rest of the day without further trouble. Mominul remained not out 28 and Tamim on 22. Rabada, Morkel and Maharaj all shared one wicket each for the Proteus.